Major Pettigrew was still upset about the phone call from his brothers wife and so he answered the doorbell without thinking. On the damp bricks of the path stood Mrs. Ali from the village shop. She gave only the faintest of starts, the merest arch of an eyebrow. A quick rush of embarrassment flooded to the Majors cheeks and he smoothed helplessly at the lap of his crimson, clematis-covered housecoat with hands that felt like spades. Mrs. Ali? There was a pause that seemed to expand slowly, like the universe, which, he had just read, was pushing itself apart as it aged. Senescence, they had called it in the Sunday paper. In the outset of Major Pettigrew's Last Stand, the Major is described as feeling the weight of his age, but on page 320, the morning after his romantic evening with Mrs. Ali at Colonel Preston's Lodge, Simonson writes that "a pleasant glow, deep in his gut, was all that remained of a night that seemed to have burned away the years from his back." Love is not only for the young and, as it did the Major, it has the capacity to revitalize. Discuss the agelessness of love, and how it can transform us at any point in our lives. Here are some of the comments posted about Major Pettigrew's Last Stand. Are relationships formed in grief different? How to balance obligation and personal freedom? Helen Simonson crafts an enchanting tale, brilliant in its simple yet profound insight into human nature - a light and crisp perfection. Her characters etch themselves into your head and heart, lingering long after the last page has been savored... This autumn-of-life love story - messy, funny, complicated and filled with the promise of possibility no matter what your age - is not to be missed. And like all good things, including fresh fruit tarts, the memory of enjoying it will make you smile whenever it comes to mind. (Reviewed by BJ Nathan Hegedus). As with the polished work of Alexander McCall Smith, there is never a dull moment but never a discordant note either. Still, this book feels fresh despite its conventional blueprint. Its main characters are especially well drawn, and Ms. Simonson makes them as admirable as they are entertaining. They are traditionally built, and that’s not just Mr. McCall Smith’s euphemism. It’s about intelligence, heart, dignity and backbone. Major Pettigrew’s Last Stand has them all. 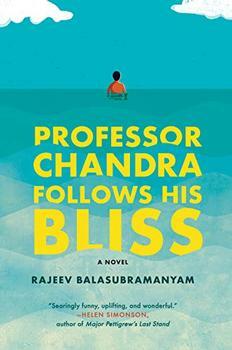 Set-in-his-ways retired British officer tentatively courts charming local widow of Pakistani descent…Unexpectedly entertaining, with a stiff-upper-lip hero who transcends stereotype, this good-hearted debut doesn't shy away from modern cultural and religious issues, even though they ultimately prove immaterial. Starred Review. 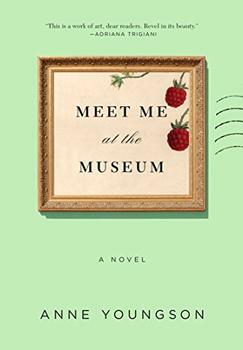 This irresistibly delightful, thoughtful, and utterly charming and surprising novel reads like the work of a seasoned pro. In fact, it is Simonson's debut. One cannot wait to see what she does next. Starred Review. This is a vastly enjoyable traipse through the English countryside and the long-held traditions of the British aristocracy. In the noisy world of today it is a delight to find a novel that dares to assert itself quietly but with the lovely rhythm of Helen Simonson's funny, comforting, and intelligent debut, a modern-day story of love that takes everyone – grown children, villagers, and the main participants – by surprise, as real love stories tend to do. I love this book. Courting curmudgeons, wayward sons, religion, race and real estate in a petty and picturesque English village, Major Pettigrew's Last Stand is surprisingly, wonderfully romantic and fresh. Unsentimental, intelligent, and warm, this endlessly amusing comedy of manners is the best first novel I've read in a long time. The story was very charming....I really enjoyed the characters, some very likeable and some not so very likeable. The storyline was really clever. I highly recommend the book to everyone. This was a truly fun book to read. Set in a staid English village, it's about discarding preconceptions and becoming open to what really matters in life. Read and enjoy! Major Pettigrew's Last Stand offers an enlightening view of the divide between provincial and cosmopolitan, traditional and contemporary. What made you want to write about this? Was there a Major Pettigrew or Mrs. Ali in your childhood village?